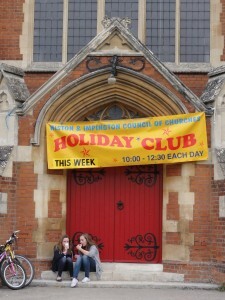 Each year in the first week of the summer holidays Histon Baptist church hosts a Holiday Club, with over 200 children attending activities each morning. 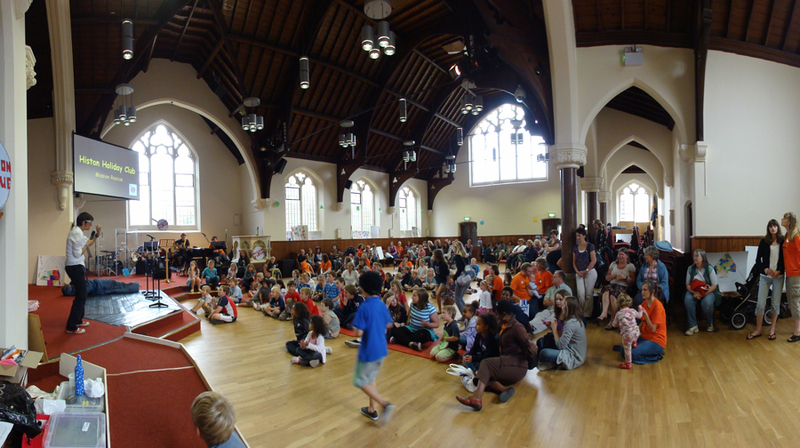 This year was the first time the holiday club had been held since the reordering works were completed. The newly created flexibility of the space has made a huge difference for activities such as this. This is a great example of the additional value you can add to a space with an imaginative reordering – the space simply couldn’t be used in the same way in its old format. 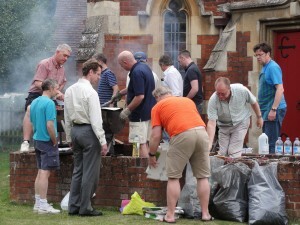 The week was rounded off with a final session on Friday afternoon, followed by a barbecue. Parents are invited to come and see what the children have been up to. For a long time the church has had the benefit of a large expanse of open space at the front, which is the perfect setting for the barbecue. This becomes a great space for an open welcome – there are no divisions between the fully public realm of the road and pavement, and the church’s public space of the lawned area. 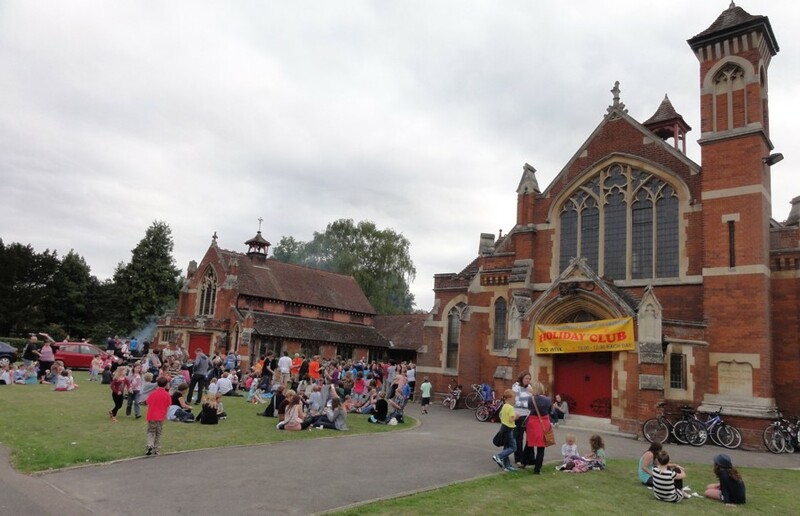 This ‘forecourt’ is a great asset when used for events such as this – it becomes a space of welcome and inclusion, and provides the church as a whole with a much lower ‘threshold of engagement’ with the community.